Setting up authorizations complex, time-consuming and expensive? We took away those arguments a long time ago with our authorization solutions for assigning, managing, monitoring authorizations (in Dynamics NAV en Dynamics 365 Business Central). 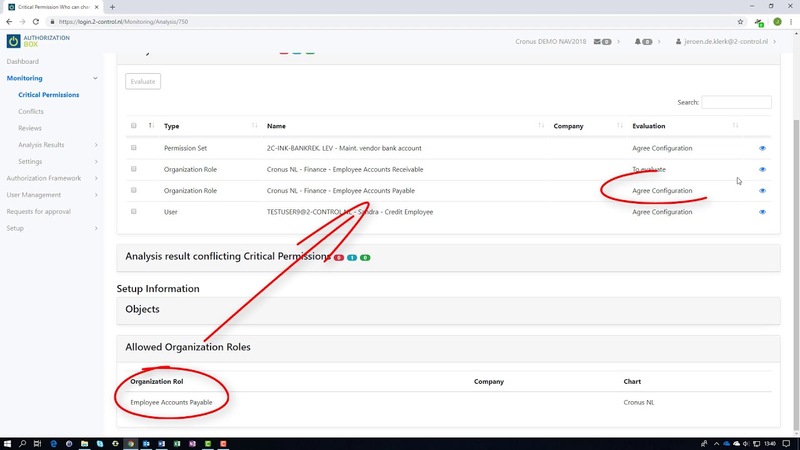 Authorization Box is a user-friendly application which can easily improve the security and internal control of the information processed in Dynamics NAV and Dynamics 365 Business Central. In order to make our solution even more accessible, we will pay 50% of the costs of the first year of Authorization Box. You have the whole month of December to purchase an Authorization Box license with 50% discount. We have 10 licenses available for this. To apply for one of these ten licenses we would like to receive a signed order form before 31 December 2018. After receiving your order form we will activate your Authorization Box account so you can start immediately. You pay €725 for the Authorization Box on Azure license for the first year. After this, you pay the standard annual subscription of €1.450. For the activation of Authorization Box we need your name, address and e-mail address. Find the conditions and the installation guide at the bottom of this page. Fill in your details below and we will reserve a free Authorization Box license for you. We will the contact you to complete your order.